A colourful mural is bringing students together at a Dandenong school. 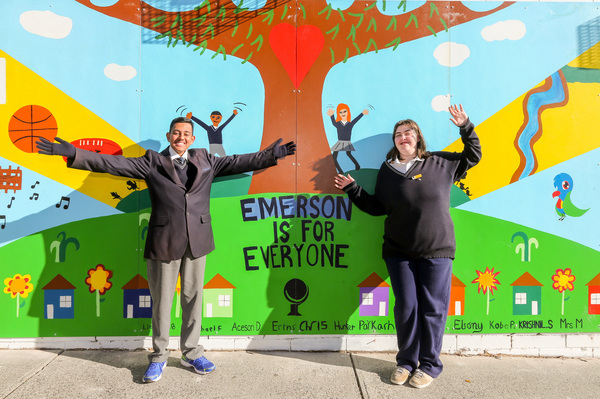 Eleven Emerson School students designed and painted the artwork and officially unveiled the finished product on Wednesday 6 June. Senior VCAL arts class teacher Jacqueline Malanga said the subject was new to the school so they wanted to offer the students something special. “The kids decided on the mural and the theme. The theme was ‘what brings us together’,” she said. “We did a brainstorm. We thought of all the different ways that people come together. “We came up with sport and music and art, family, animals bring us together, transportation brings us together. Ms Malanga said it took three months to come up with different designs incorporating these ideas. “The kids went from an A3 sized paper to a seven-metre mural,” she said. 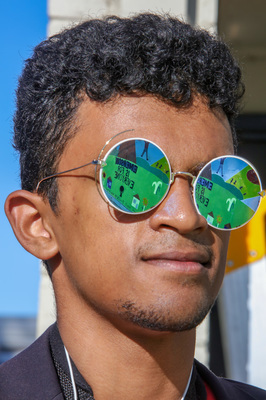 “They had to scale up quite a bit, so there was a lot of math involved. “The painting itself took 39 hours. She said the students really took ownership of the project. 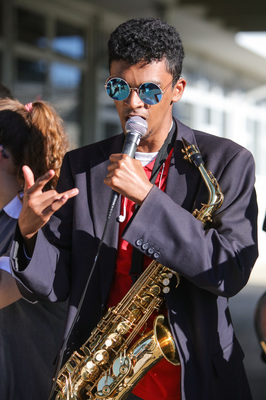 “It was also for the school community, to be able to show the school community not only what my students are capable of but what anyone is capable of,” she said. “Because it’s such a bright and cheerful painting, the students feel very uplifted. “They were very, very proud of their students.